Vegetables are sautéed in garlic-infused oil and simmered with diced tomatoes for a very flavorful ragu. 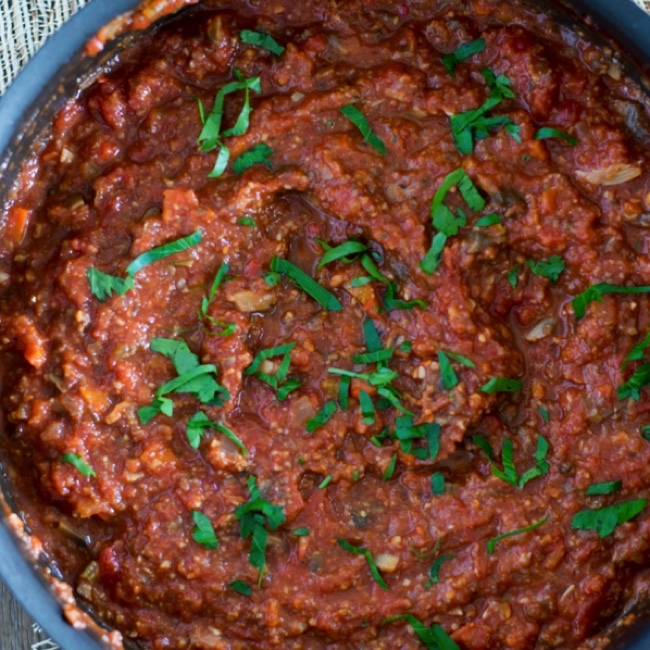 Not only is this vegetable ragu healthy, but it’s super versatile! 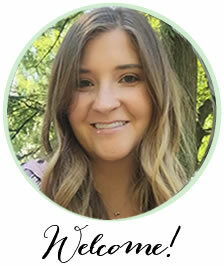 It’s gluten-free, dairy-free, Paleo, Vegan, and Whole30! Favorite recipe alert! Seriously, this vegetable ragu made it’s way into my top five favorite recipes that I’ve shared on my blog. Obviously I love everything I post… or I wouldn’t share it. BUT, I have my favorites… and this is definitely one of them! ? 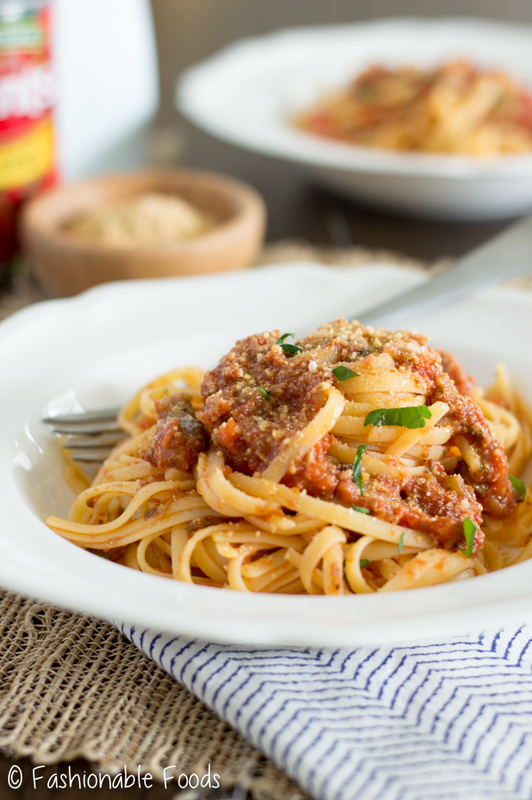 Not only is this tasty ragu healthy, but it’s extremely versatile. More on that later. First let me ask how your Valentine’s Day was? Was it filled with love, chocolate, and flowers? I spent part of my day at the dentist, grabbed an early dinner with the hubs, and then came home and made chocolate lava cakes. Yes, it may be kind of odd to head to the dentist on Valentine’s Day, but I do love having my teeth cleaned! ? Anyway, let’s get into today’s recipe… because I have a lot to talk about! Did you know February is Heart Health month? This month is used to raise awareness for heart disease and all heart-related conditions, which is something very near and dear to my heart (<– no pun intended there). As I’ve mentioned a few times before, my college days were spent studying nutritional sciences. My reason for choosing that major? Heart disease. My grandmother suffered for years with heart disease and passed away just before I began my junior year in high school. That was a big year for deciding on what colleges to look at, and of course, what to do with the rest of my life! I remember being torn between going to culinary school or to study nutritional sciences. 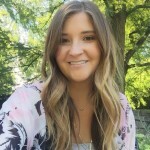 Ultimately I chose nutrition because as much as I loved cooking, I was eager to learn more about disease prevention through diet. My grandmother spent countless nights in the hospital. The phone calls always came in the middle of the night that she was having shortness of breath. Before I knew it, my mom was off to accompany her to the hospital where my grandmother would ultimately be admitted to spend a few days until things were under control again. Typically, her lungs would be filled with fluid, which was what was causing shortness of breath. Other times it was determined she needed open heart surgery, which resulted in her being flown to another hospital. Not only was this awful for her, but also tough for all of us witnessing her suffering. I was young during most of this, but I do remember a lot of it like it was yesterday. Her final trip to the hospital resulted in surgery that she simply couldn’t recover from. After spending a week in the ICU, she passed away. Heart disease is the leading cause of the death in the United States. It kills more people than all forms of cancer combined. Hard to believe, right? Diet plays such an important role in our health… I really can’t stress this enough! I won’t get into all the nerdy details (though I’d love to! )… because I’d be here typing all day long. 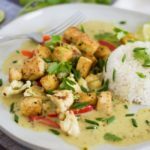 So, I’m here today to share a heart healthy recipe with you! 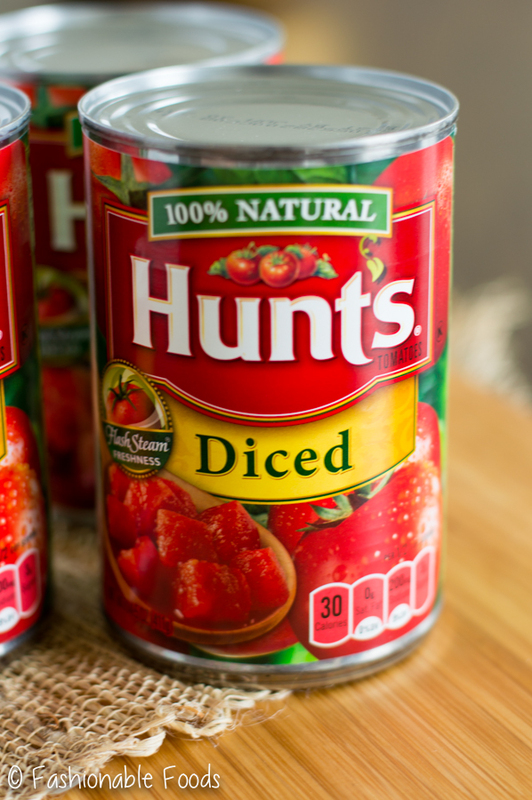 While in Wal-Mart last week, I grabbed a few cans of Hunt’s diced tomatoes. 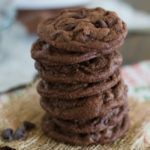 I always have some in my pantry because they are consistently good, fresh tasting, and super easy to find! The best part? Hunt’s is donating $50,000 to the American Heart Association for heart month! So, let’s talk about this tasty heart healthy recipe! 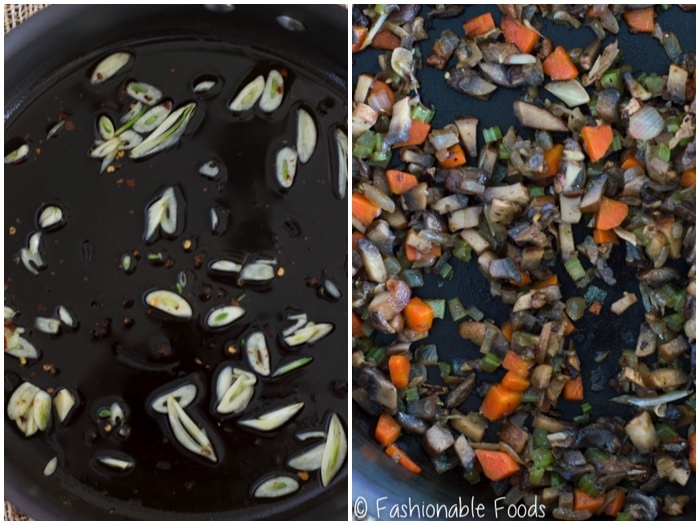 You’ll start by sautéing onions, carrots, and celery in garlicky olive oil (good fat for our hearts!). Then, add in some crimini mushrooms, which give this ragu that meaty texture. My secret ingredient to add that meaty flavor? Porcini mushrooms! If you’ve never tried them, you are going to be obsessed when you do. You’ll find them dried in the grocery store – either by the produce or sometimes near the specialty Italian ingredients. You only need a small amount to pack a big punch of flavor… just cover them with hot water to soften them. Then, chop them up and add them (along with liquid) in with the rest of the veggies. Stir in two cans of Hunt’s diced tomatoes and some dried oregano. Let simmer and you’re ready to eat in no time! Once you’re done simmering the ragu, you can decide what kind of texture you want. If you want it completely smooth you can certainly blend it (this would be perfect for mushroom haters or kids! ), but I like it pretty chunky. So, I only give it a few bursts with my immersion blender. If you don’t have an immersion blender, you can use a blender or food processor to blend half of the mixture. This way you have some smoothness, but still a lot of texture from the unblended portion. My favorite way to serve this is over gluten-free pasta, but you can use whatever your favorite pasta is. Top it with a sprinkle of parmesan, or if you’re vegan or avoiding dairy, try vegan cheese! I recently discovered nutritional yeast flakes… blended with some cashews, it gives you that cheesy texture and flavor of parmesan! 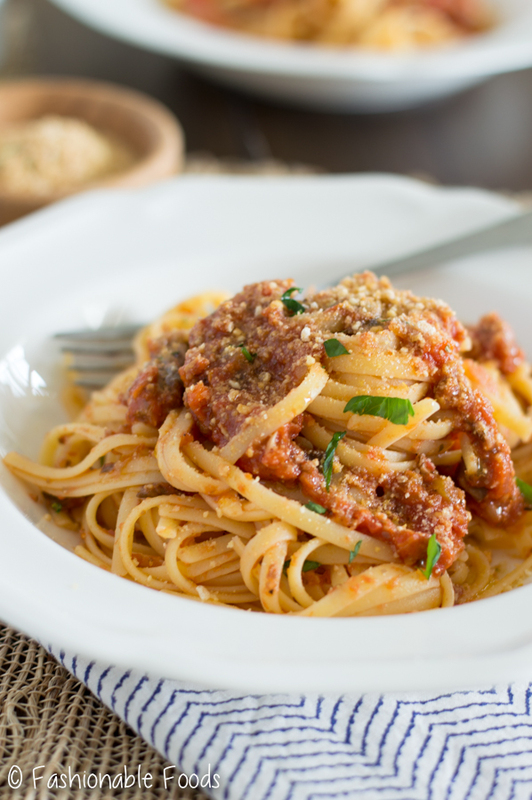 Check out the notes section of the recipe for all of the other ways you can serve this ragu – it’s super versatile! Remember to keep your heart healthy by eating lots of veggies, healthy fats, and whole grains! The more educated we become about diet and disease prevention, the better our chances for keeping our hearts healthy. Vegetables are sautéed in garlic-infused oil and simmered with diced tomatoes for a very flavorful ragu. 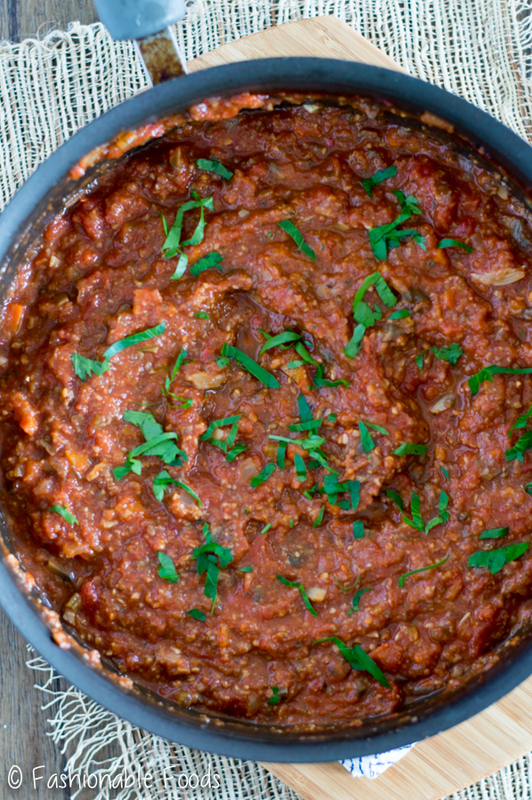 Not only is this vegetable ragu healthy, but it’s super versatile! Place the porcini mushrooms in a small bowl and cover with hot water. Set aside while you prepare the rest of the ragu. Pour the oil in a 10-inch (or larger) skillet and add the garlic and red pepper flakes, if using. Turn the heat to medium/low and let the garlic cook until it’s just turning lightly golden around the edges. Add in the onion, carrots, and celery. Stir to combine and season generously with salt and pepper. Cook the vegetables until softened and lightly caramelized, about 10 minutes. Stir in the crimini mushrooms and cook until the mushrooms cook down, about 3-5 minutes. Remove the porcini mushrooms from the liquid (save the liquid!) and finely chop. Add the mushrooms, the reserved liquid, the canned tomatoes, and oregano to the pan. Stir to combine and let the ragu simmer for 20 minutes on low heat. After 20 minutes, use an immersion blender to lightly blend the sauce. You still want a lot of texture! If you don’t have an immersion blender, you can add about half of the sauce to a blender and blend on low speed, then stir it back in with the non-blended part. See the recipe notes for my ideas on how to serve! Recipe yields about 4 cups. In support of Heart Month, Hunt’s is donating $50,000 to the American Heart Association! Go here for more info as well as more recipe ideas. And, be sure to take advantage of this Ibotta rebate of $1 off when you buy 4 cans of Hunt’s canned tomatoes! Yum, that would be delish! Thanks for the kind words, Gayle! My condolences for the loss of your grandmother, Keri. 🙁 Bravo for spreading heart disease awareness!! I’m positive your grams is up above, looking down on you and she is VERY PROUD! As much as I love ragu, I don’t love that it’s so heavy, so this veggie ragu is totally calling my name!!! 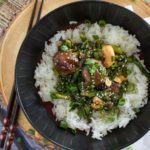 Hearty yet healthy is my jam and I wish I had a vat of this deliciousness for breakfast! Seriously, I could put this ragu on EVERYTHING! I absolutely MUST make this! Cheers, girlfriend! Thank you so much for the sweet words, Cheyanne! 🙂 This ragu gives you all that delicious meaty flavor, but without that heaviness since there is no meat! Heart disease is so tragic 🙁 so sorry to hear about your grandma’s suffering! This vegetable ragu does sound fantastic though – it’s the perfect thing to serve over some pasta or chicken! Thanks, Rachel. 🙂 Serving this ragu on chicken would be delish! Sorry to hear about your Granny’s suffering, Keri. Heart disease awareness is such a wonderful thing. 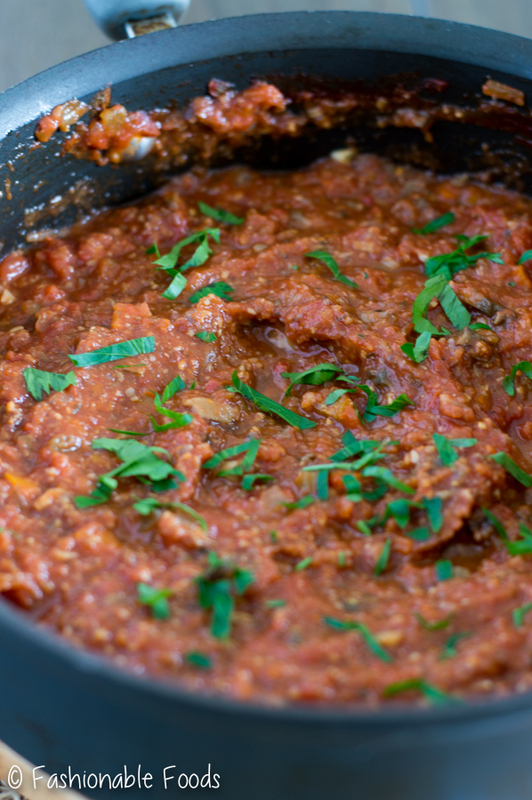 And this vegetable ragu would sure make a great lunch/dinner. That would even make a great pairing for voodles.